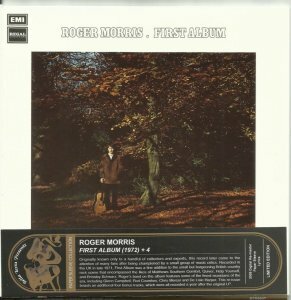 Roger Morris' obscure First Album was part of a low-key country-roots rock movement in Britain in the early '70s -- Brinsley Schwarz being its most notable exponents -- that led to (and could be considered an early part of) the pub rock genre. The Band was a big influence on roots rock and pub rock, but even if you subscribe to the theory that there's no better way to start than by paying tribute to the masters, the Band's influence on this record is so obvious and inescapable that it starts to sound like an actual tribute album. 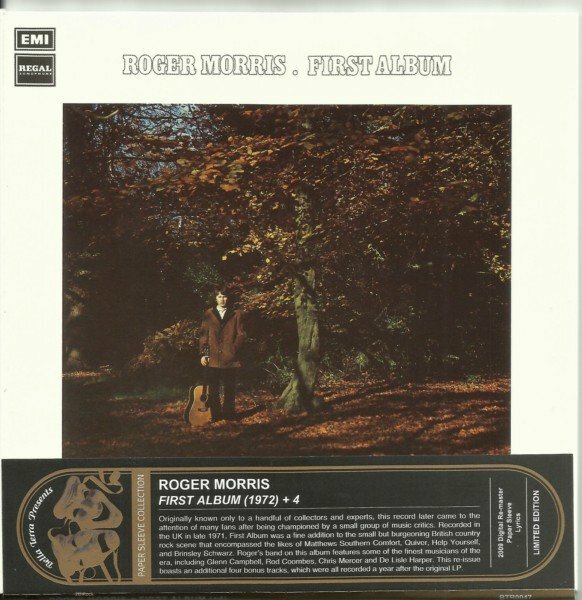 It's not as alarmingly imitative as it might have been, since Morris is a skilled if derivative songwriter, and the musicianship is accomplished. Still, the effect is something like hearing a more laid-back, countrified early Band record that happens to have a singer that wasn't in the group. Morris, too, is not as strong or identifiable a vocalist as Levon Helm, Richard Manuel, or Rick Danko, with a scrawny tone that at times bears a slight resemblance to Van Morrison. It's a genial take on the Band sound, but not a very original effort. The highlight's the dramatic "The Trail of Tears," whose tolling bells and light orchestration not only add some tension, but (refreshingly) are touches the early Band would not have been wont to employ. The 2005 CD reissue on Hux adds historical liner notes and four previously unreleased bonus cuts, done about a year after the album, with a similar style and slightly lower (but still decent) fidelity.